Pappy's Pony gave birth to a chestnut filly on 9 October, well after the annual Swim and Auction of the Chincoteague ponies in July. 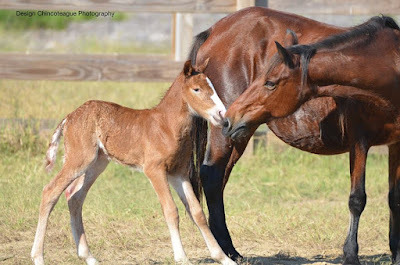 At the fall Round-Up, the mare and filly were taken to the Carnival grounds on Chincoteague with the foals to be picked up, as well as some of the late-born foals and mares. 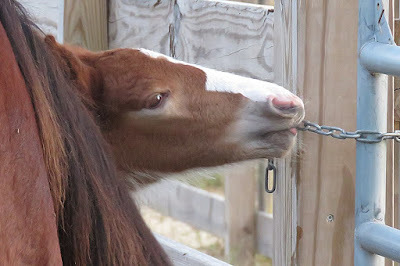 The baby was purchased by a local lady, who has given the barn name of "Cassie" to the pretty little girl with the crooked blaze, and who is the daughter of Riptide. 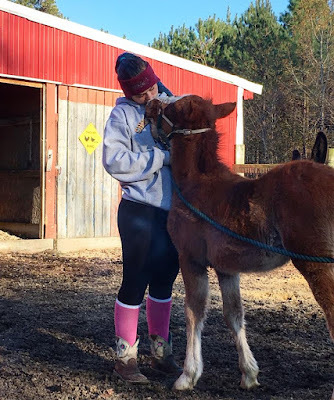 Since Cassie has been doing so well - eating baby-formula grain, grass, and hay -the veterinarian decided she could be weaned early, so as not to cause the mare to loose condition during the winter. 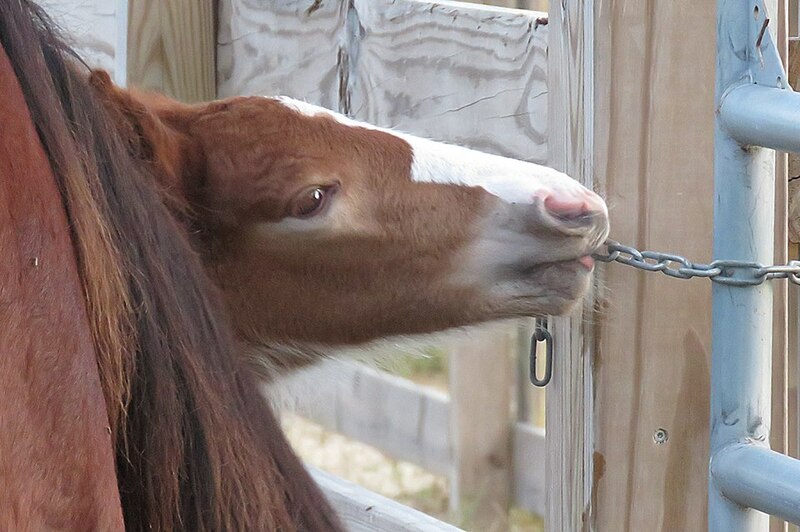 A really nasty winter could cause the loss of both mare and foal. 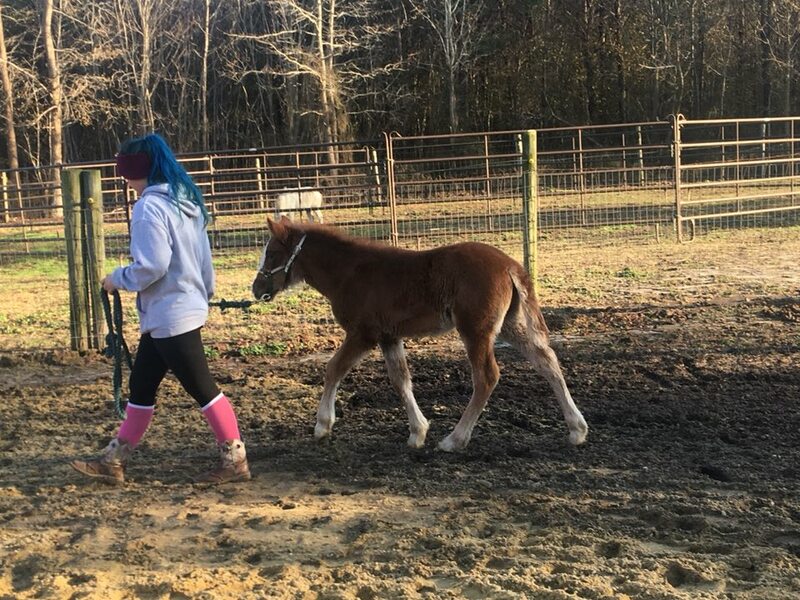 So Cassie's new owner was contacted, and on Monday, the foal was taken by trailer to her new home, and Pappy's Pony, the mare, was returned (via trailer, also) to Assateague, and her stallion, Riptide. 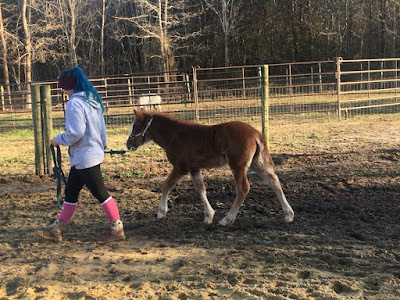 After Cassie was at her new home, and had met the other pony, burro, and horses she will be living with, she began learning - and had a great lesson in leading two hours after her arrival. But on Assateague, Momma wasn't happy. - and, you know the saying - "If Momma ain't happy, nobody's happy!" Pappy's Pony is 15 years old. Every summer she swims the Assateague Channel between Assateague and Chincoteague and follows a specific route to the Carnival Grounds. (They follow the same route in reverse for the swim back.) She missed her baby. 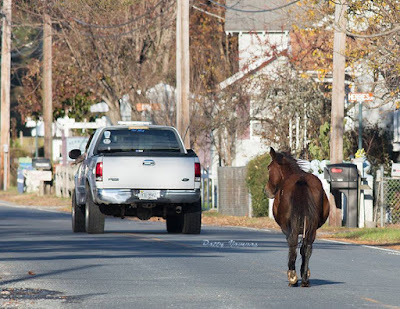 She left her friends and stallion behind, and swam across the Channel by herself, then walked most of the way, through traffic, to the Carnival Grounds. 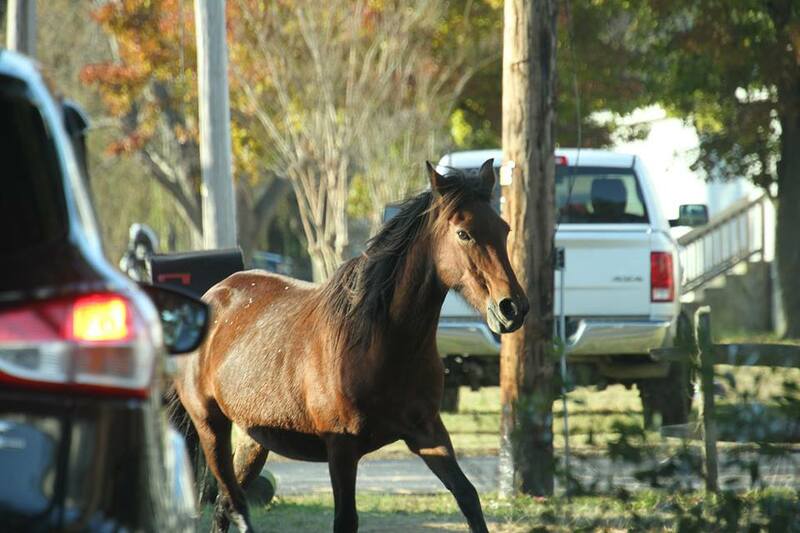 She was spotted about two blocks away from the Channel, and the Fire Company's Saltwater Cowboys were called and notified. 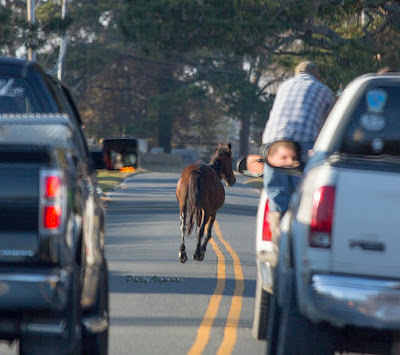 Hearing it was a solid bay mare, with a 03 brand on her hip, they knew it was Pappy's Pony on her way back to (she thought) her baby. The Cowboys took a truck and a lasso, roped the mare and took her to the Carnival Grounds. They will probably keep her there for a day or two, letting her see that Cassie is no longer there. Then they will trailer her back to Assateague. - Such is a mother's love! !